Federal Reserve Board Chairman Jerome Powell at a news conference after a Federal Open Market Committee meeting in Washington in January. It’s all but a sure thing that Federal Reserve officials will wrap up their second policy meeting of the year Wednesday by leaving interest rates right where they are. But that doesn’t mean we should ignore the statement that the rate-setting group will release at 2 p.m., or Fed chairman Jerome Powell’s press conference a half-hour later. There’s a lot riding on what Fed officials say for professional traders and the rest of us. Here’s why. The central bank is done, or close to done, with a campaign to bring its benchmark federal funds rate to more normal levels after holding it at super-low levels for years following the financial crisis. Barring a sudden surge in economic growth, Fed watchers expect one more rate increase later this year — from the current range of 2.25 percent to 2.5 percent — or maybe none, if slowdowns in China and Europe take a real toll on the United States. 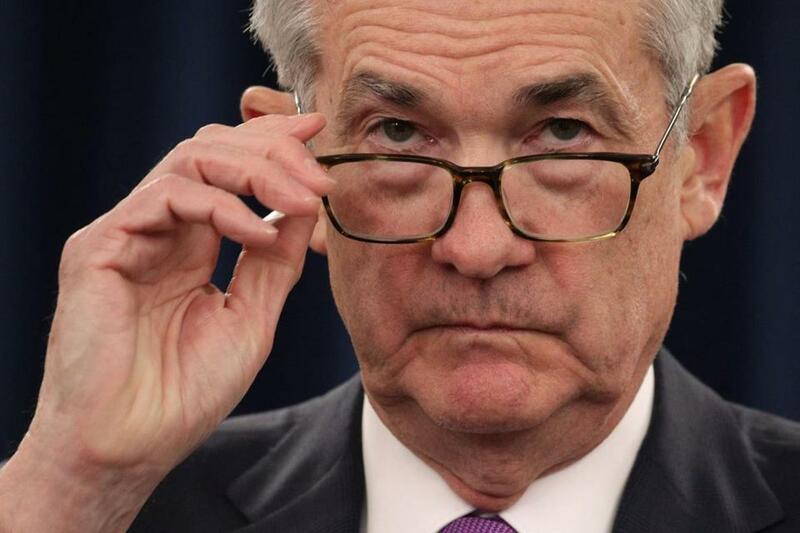 That’s a fine line to tread, and past comments by Powell have spooked or confused investors until he later clarified himself (the charitable view) or changed his tune. In other words, he has to deliver a clear message on the Fed’s outlook on the Four Horsemen — rates, growth, inflation, and employment. There is also baggage left over from the Great Recession that Powell is expected to address — almost $4 trillion worth of baggage. That’s the value of Treasuries and mortgage bonds remaining in the central bank’s portfolio, a legacy of the massive buying spree it went on from 2008 to 2014 to pump money into the financial system, first to keep it from seizing up, then to support what was an anemic recovery. The Fed has been slowly shrinking its Treasury holdings by allowing some of the securities to mature each month without reinvestment. Officials are wary of moving too fast or too far, out of concern they may restoke some of the volatility that hit financial markets late last year. More information on when they will stop unwinding — and the mix of the Fed’s holdings going forward — is expected on Wednesday. If this all sounds arcane, it is. But it’s important stuff, and not just for the pros trying to suss out how it will all affect the Treasury market. The Fed has never been in this spot before, and it has to execute flawlessly. “This is unprecedented, and we are not sure what the potential outcomes or hiccups will be,” said Michael Arone, managing director at Boston-based State Street Global Advisors and chief investment strategist for its US exchange-traded funds business. Looking beyond Wednesday, Megan E. Greene, managing director and chief economist at Manulife Asset Management in Boston, worries that the Fed will be too hawkish and increase rates too much. “Ten out of the past 13 rate-hiking cycles have ended in recession, so the risk is more that the Fed will be true to form and kill off the recovery than that it will allow the economy to overheat,” she said. Complicating matters: Many investors expect the Fed to hold rates steady throughout the year or even make a cut. They may be more dovish than Powell, who has said he and his colleagues will closely analyze all the data before making their next move. Meanwhile, a majority of economists polled by the National Association for Business Economics predicts one or maybe two hikes this year. The disconnect between dovish investors and where the Fed ends up could lead to trouble. “If the Fed comes out and talks tough tomorrow” about a rate hike still being possible, “the market could react negatively,” Arone said. No action. But when it comes to the Fed, talk isn’t cheap.